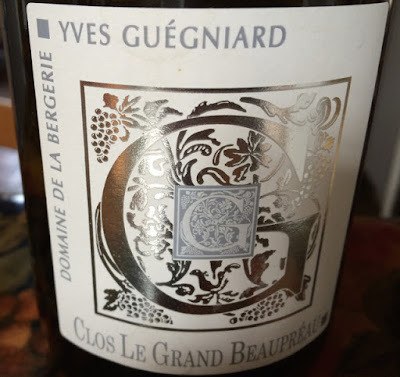 Luckily last year we took the precaution of buying 24 bottles of Bruno Curassier's deliciously juicy 2014 Gamay, which has been drinking very well over the past year. 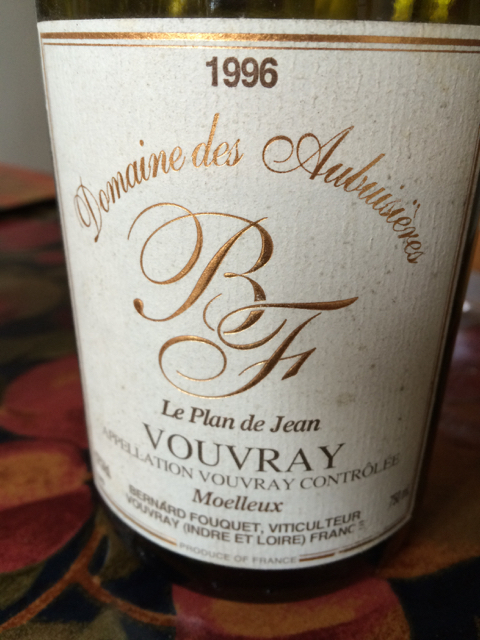 Note that Bruno suggests serving this at 15˚C. 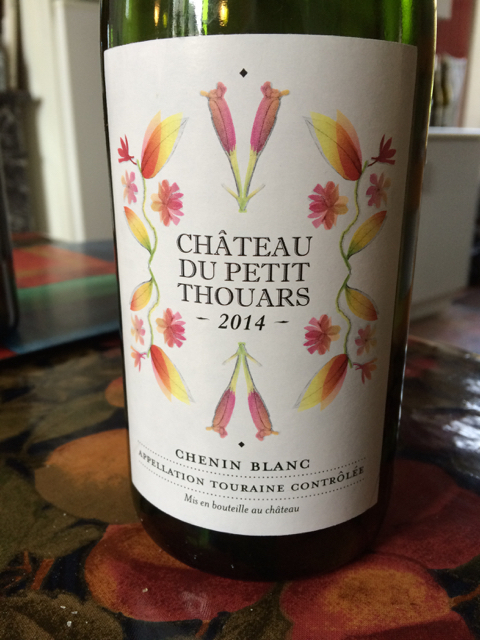 Our stocks are beginning to run low so will have to invest in the 2015 when next out in the Loire. 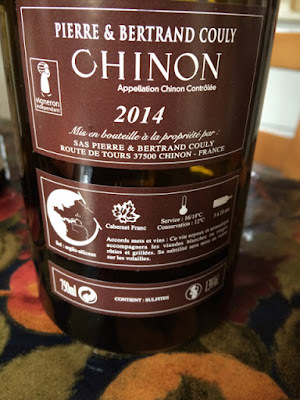 During our three week stay in the Loire we enjoyed (avec modération) a number of good bottles. This is the second post. The first is here. This post was uncompleted yesterday when we set off from Newtonmore for the Isle of Colonsay. It is now Tuesday morning and we are settled into the refurbished Avenue Cottage in the woods of the Colonsay Estate. Very lovely, mature sweet honeyed 1996 Vouvray from Bernard Fouquet with characteristic balanced acidity stopping it from being cloying. 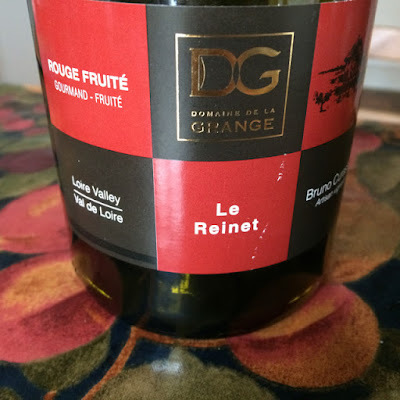 Sweet enough to match an apple dessert. One of two bottles of this very good 2010 Chinon bought at a bargain price from Ludo and Sophie's retirement wine sale at Café de la Promenade. 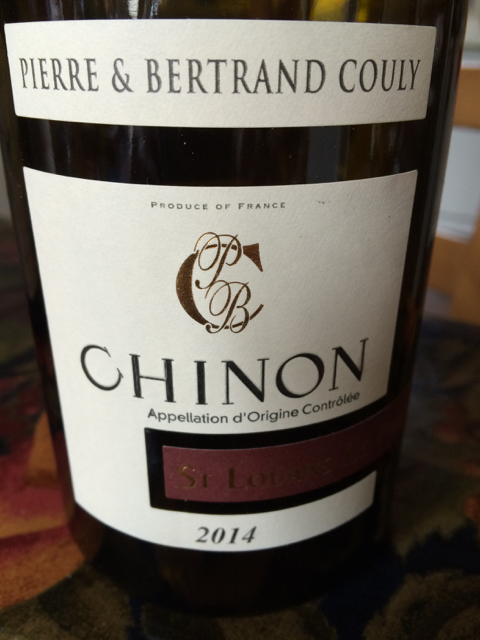 Underlines what a good vintage 2010 is for Loire reds. 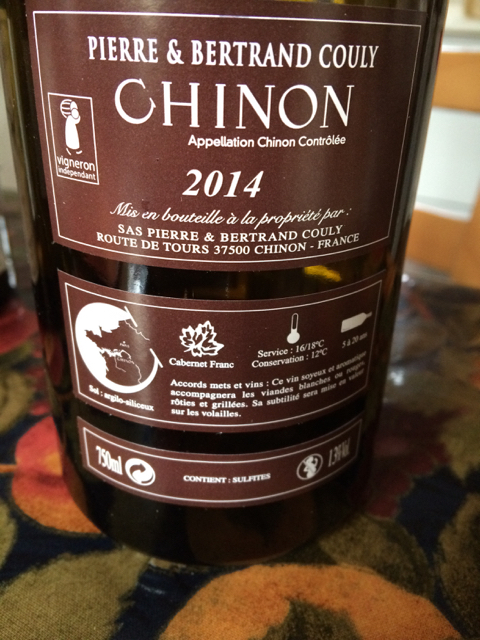 Certainly ready to drink but will happily keep for a good number of years depending on how you like your Loire reds. 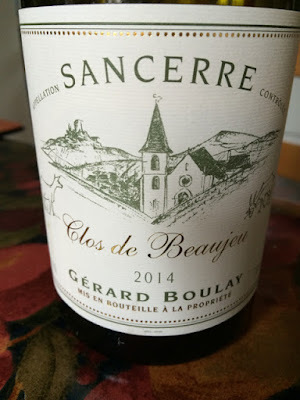 This pure and crisp but still youthful Sancerre is from Gérard Boulay, one of Sancerre's top producers, and coming from one of Chavignol's steepest vineyards. 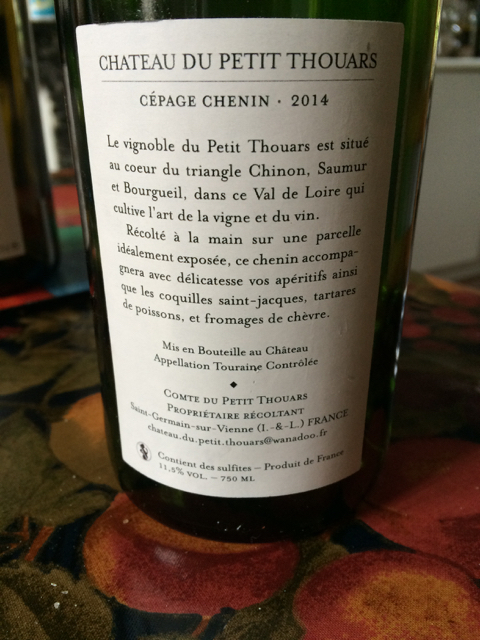 I wouldn't like to guess whether the Cul or Clos de Beaujeu is steeper than the more famous Côte de Monts Damnés. 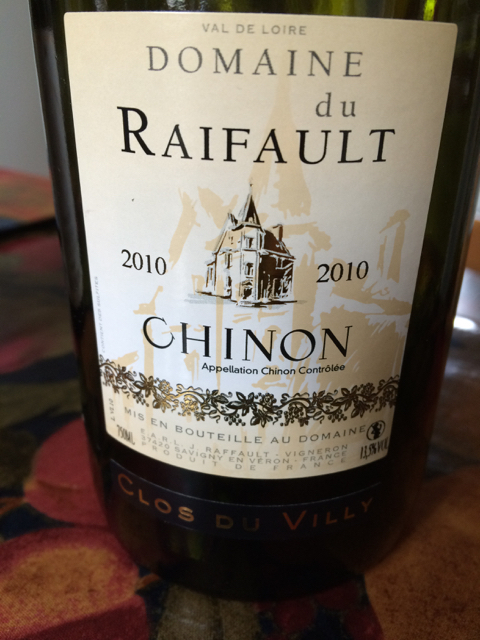 Good to drink now but will surely gain extra complexity with time in bottle. 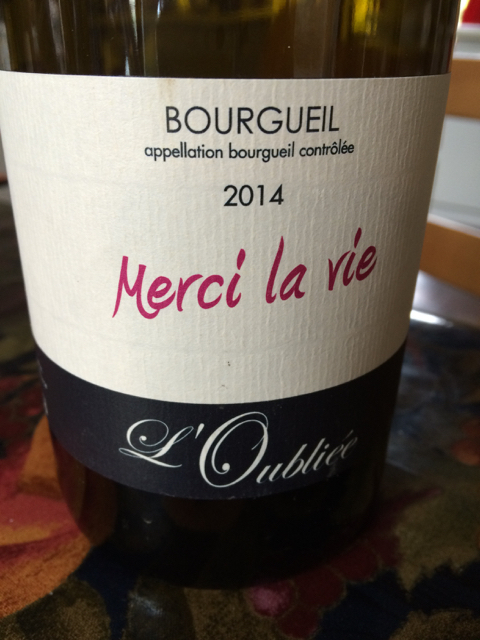 Another bargain from Sophie and Ludo's sale, early drinking, wonderfully juicy Bourgueil from Xavier Courant. 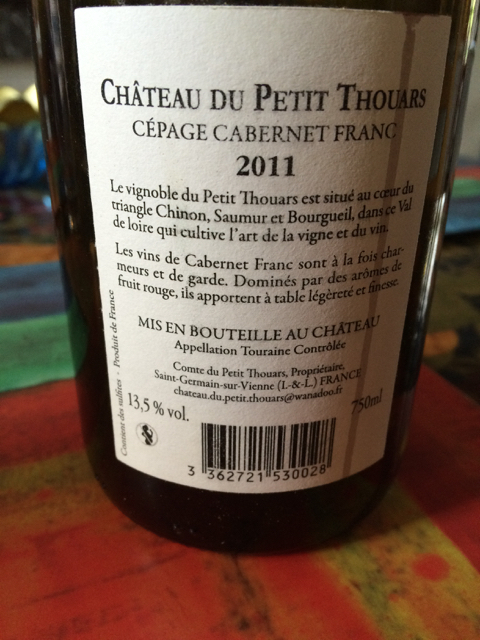 To enjoy rather than analyse. 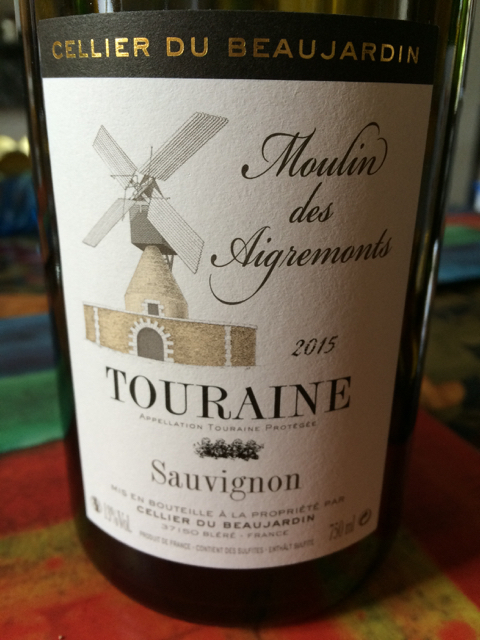 All of Xavier's wines are named after famous French films. Yet another example of a remarkably forward and attractive 2014 Loire Cabernet Franc red but with the potential to age well. Yes this Chinion from Pierre and Bertrand Couly has structure but this is well enveloped by the attractive black fruits. It would be good if Jacques Couly's (Couly-Dutheil) very recent death is taken by both sides as a time to start to try to heal and resolve the sad schism within the Couly family. It may be too late but one can only hope! 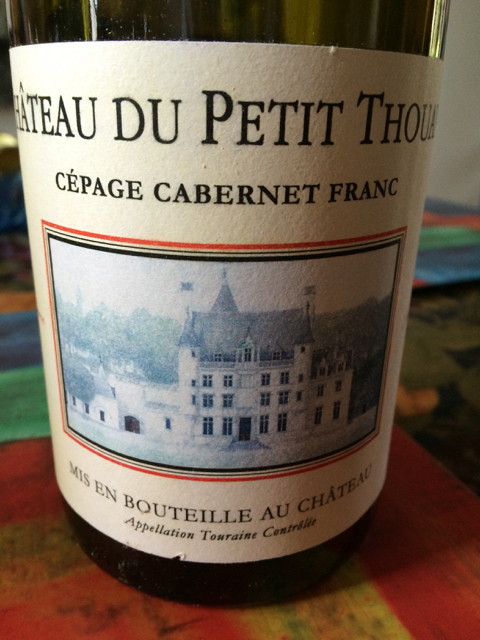 Two wines from Château du Petit Thouars that were kindly sent to me by Sébastien du Petit Thouars as samples. 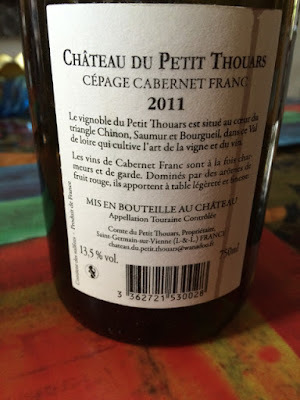 The 2011 Cabernet Franc is well balanced, complex and showing again that the 2011 vintage is attractive to drink now and although there is no rush to drink this up it may well not keep as long as say 2010 and 2014. The 2014 Chenin is from young vines. 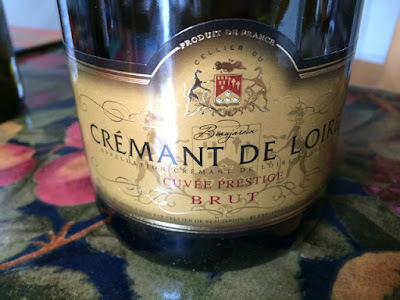 Initially I serve this a little too cool and CRM commented that it was rather sharp. As it warmed in the glass it took on more weight putting the acidity into better balance. 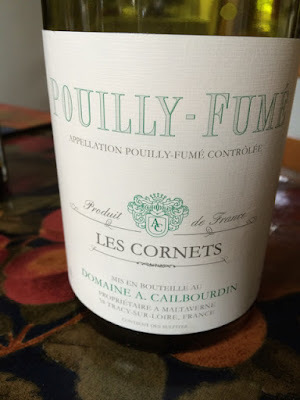 It is not just the 2014 red Loires that are showing well but the whites are attractive and well-balanced, too, as this Pouilly-Fumé demonstrates. 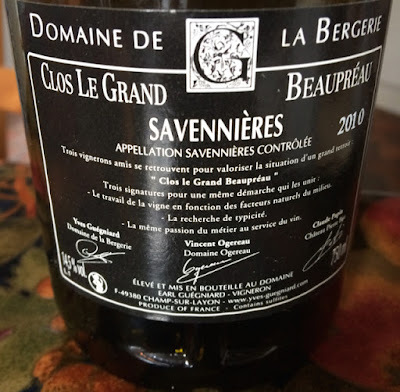 Superb, rich, complex, lightly honeyed 2010 Savennières from Domaine de la Bergerie emphasising bot the quality of the wines from La Bergerie but also what a fine vintage 2010 is. 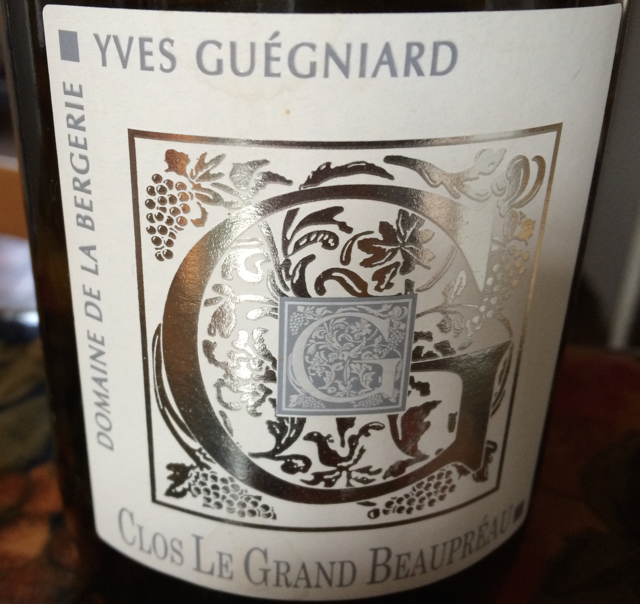 This comes from the Clos that is shared by La Bergerie, Domaine Ogereau and Château Pierre Bise. (pressurage direct), élevé 36 mois sur latte, vendange manuelle. 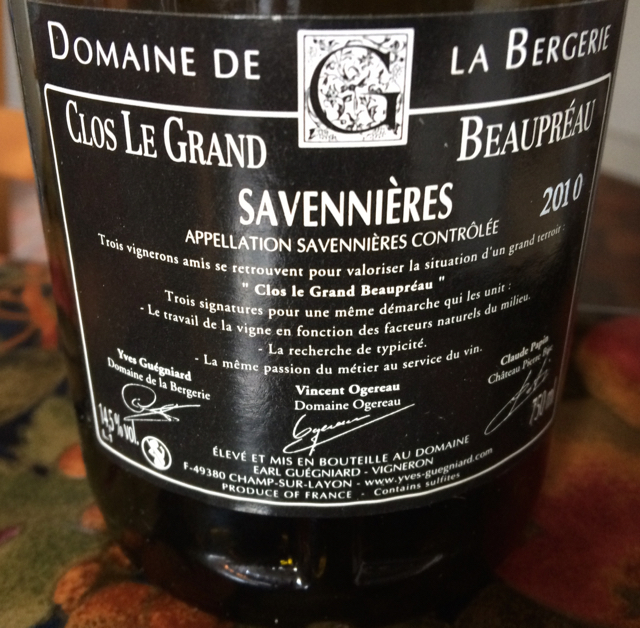 The last two wines are from the Cellier du Beaujardin – the Bléré Cave Co-opérative. 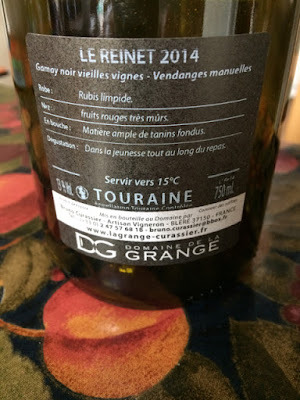 Both offer good value – the crisp, ripe 2015 Touraine Sauvignon is 4.70€ and has attractive gooseberry flavours, while the full flavoured Crémant de Loire spends 36 months sur latte and retails for just 6.20€ from the co-op, which is remarkable value for a sparkling wine that spends three years on its lees.